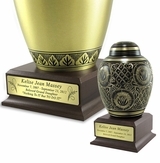 Individually hand-tooled solid brass urn. 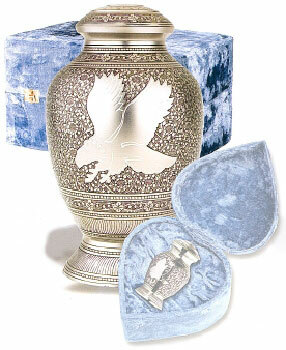 Classic style with silver nickel and blue finish. Engraved and enameled leaves, flowers and eternity rings. Threaded screw-top lid. Felt bottom. Velvet case.